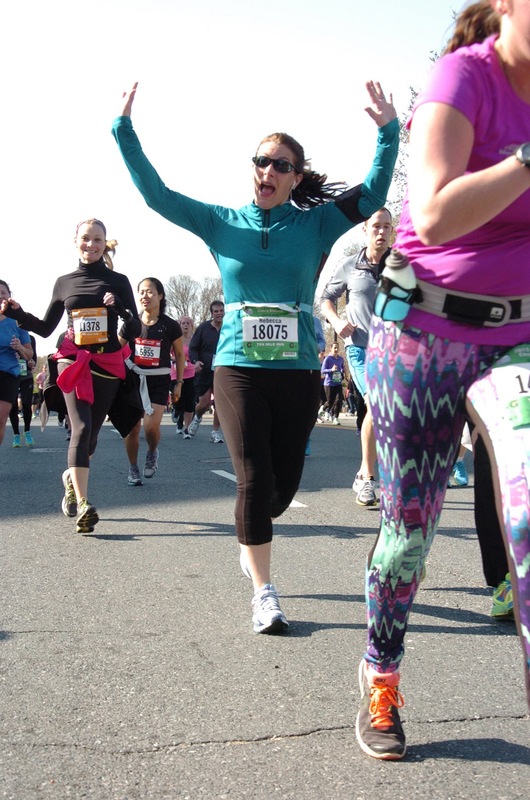 The Restitcherator: Cherry Blossom 10 Miler - I did it! I can't believe that it's been over two weeks already. But I had to wait for the photos to arrive to properly describe my recent success story. 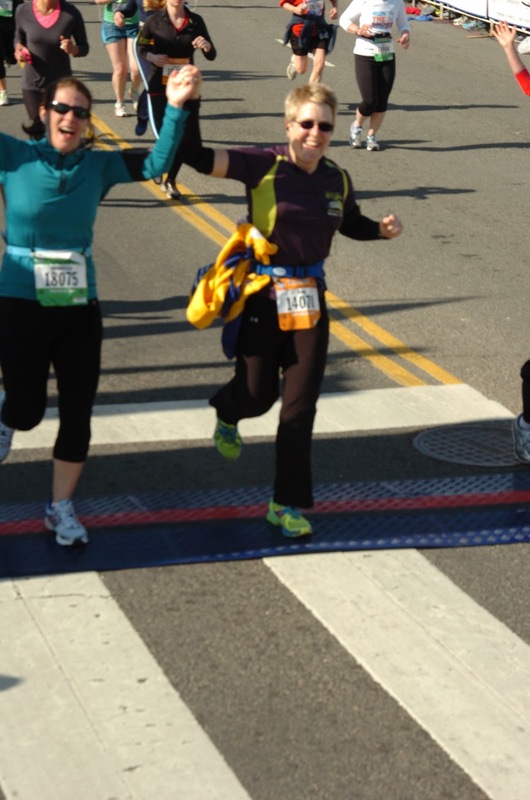 On April 7, I ran the Cherry Blossom 10 Mile Run with my cousin in Washington, DC. Not only did I run it, but I finished, and I ran across the finish line smiling. It felt absolutely amazing. For those of you that have followed my blog, you know that I am not a very experienced runner. I started running on December 2, 2011. 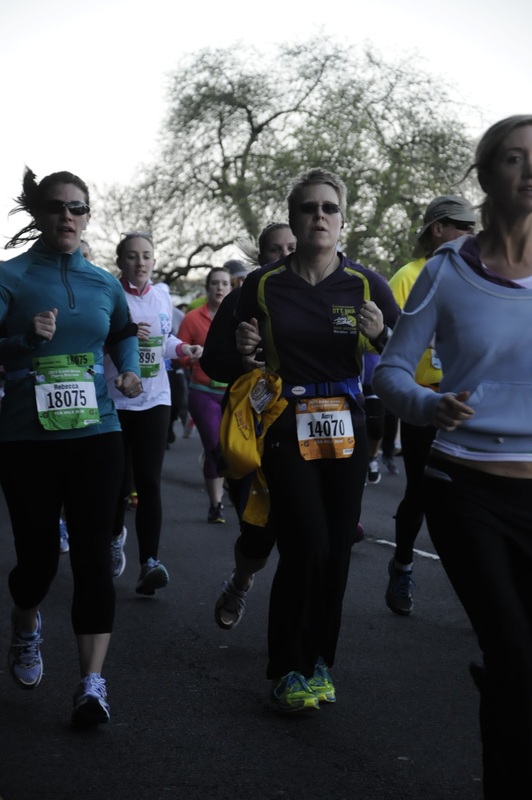 I started running because for my entire life, I told myself I COULDN'T run. That I had a lung "thing" and I just couldn't get the breathing right. I had some fabulous women, including my cousin (who is a tri-athlete by the way) encourage me, and support me through all of the whining and complaining as I slowly became a "runner" over the last 15 months. I don't look like I'm suffering too much, do I? (to be fair...I didn't include any of the photos where I look like I was about to die). I knew this race was a HUGE accomplishment for me, so every time I saw the photographers along the route, I hammed it up like crazy. We averaged just under an 11 minute mile. Not a land speed record by any stretch...but I did it, and I felt, on that day, like I could set any goal and achieve it. A most amazing feeling. Here we are, crossing the finish line. Running AND smiling. Not bad for a girl (who am I kidding, 42 year olds are not "girls") who could barely run 30 seconds at a time just last December. Now, I LOVE running. It's a permanent part of my life. I feel better, I am significantly stronger, and I am in the best shape of my life. The next time you tell yourself you "can't" do something, think again. You can do anything you put your mind to.